2.5 inches tall. Gold bone. 2" tall. Tongue wags back and forth. 2.75 iches tall. For your dog (or husband's) photo. 1.5" tall. Add your dog's photo. 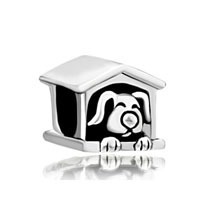 14k Diamond Dog Charms - Diamond Dog Charm in White Gold. Each diamond charm includes a lobster claw for easy attachment to a necklace or charm bracelet. 0.10cts total diamond weight 7/8 " long. 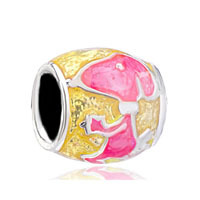 Gold Charm or Gold Pendant: Dog 14k Yellow & Rose Gold Flower Charm. 5/8 Inch Long 1.0g. Faithful and honest - dog. I Heart Doggie Pin in Crystal/Jet/Lt Siam with an Antique Brass finish. 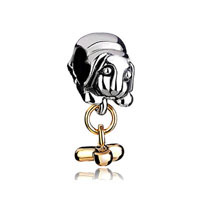 I Heart Dogs Pin in Crystal/Lt Siam with a 23K Gold finish. 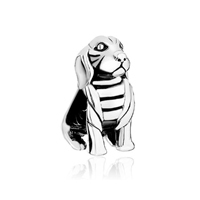 Extra Small Dog Pin, shown in Crystal/Jet/Lt Siam with an Antique Brass finish. 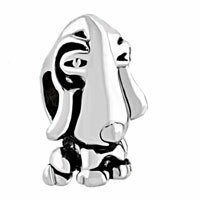 Small Dog in Waggon Pin, shown in Crystal/Jet/Lt Siam with an Antique Silver finish.